Any proof that this year's summer box office has been faltering only has to look at this week's 4th of July offerings which seemed rather weak compared to past years when franchises like "Transformers" and "Spider-Man" dominated. In fact, only two movies grossed more than $20 million this weekend and one just barely, as four new movies failed to find much of an audience over the returning movies. 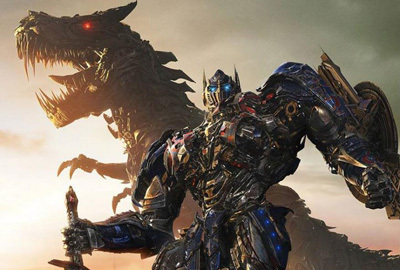 Michael Bay's global blockbuster Transformers: Age of Extinction (Paramount), starring Mark Wahlberg, Jack Reynor and Nicola Peltz, retained first place for a second weekend in a row, but took a massive 64% plunge from its $100 million opening to bring in $36.4 million in its second weekend. It has grossed $174.7 domestically, which is less than the $228.8 million made by the previous installment "Dark of the Moon" in the same period of time. Bay's movie did huge business in China for a second weekend in a row, taking in $51 million, a much smaller 43% drop-off from its record-setting opening weekend and more than half the weekend's overseas take. China's gross on its own is $212 million, more than half the overseas gross of $400 million which brings its global total to $577.7 million after less than two weeks. IMAX screens brought in $13.1 million worldwide this weekend, $5.7 million from China alone, as its $53 million worldwide IMAX total makes it the fastest IMAX movie to cross the $50 million ahead of 2012's The Dark Knight Rises.